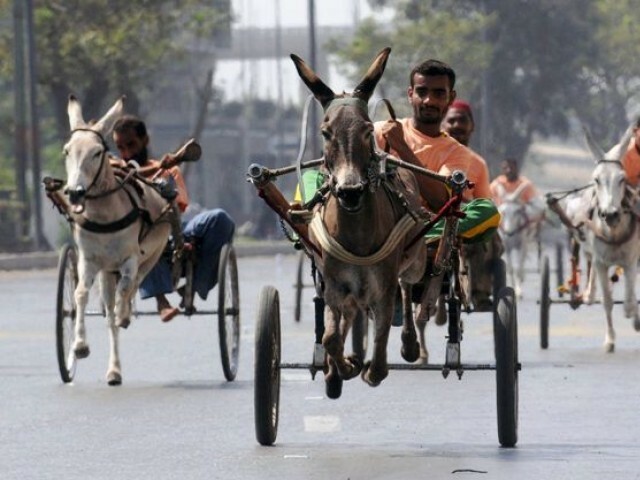 “My donkey is better than any horse,” exclaimed Ghulam Mohammad, also known as Jami, after he crossed the finish line on his donkey cart. Jami earns his living transporting goods in Karachi. 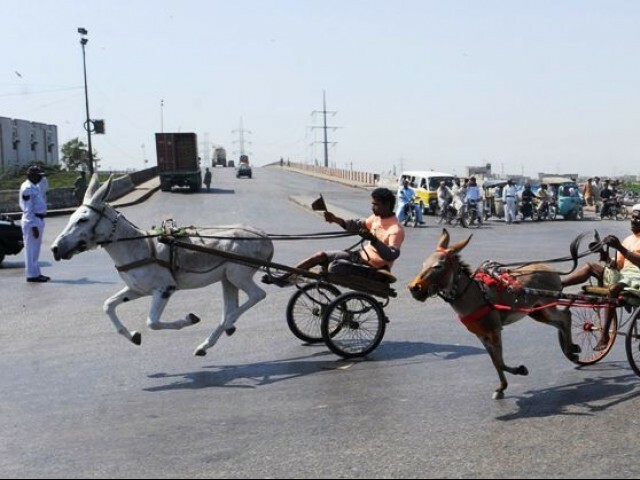 The donkey-cart racing is not just a way of entertainment for him, letting loose after a week of hard-earned labour. It’s also a means of easy money — a win earning him anything from Rs 3,000 to Rs 40,000. Living by his four rules to success after participating in over 60 races, the 28-year-old – with a special bond with his donkey – loves the last race the most. With the races held on a public road, Jami’s second rule simply is to ‘never underestimate the dangers an empty road poses as truck-drivers can and will hit anything that comes in their way during the evening’. 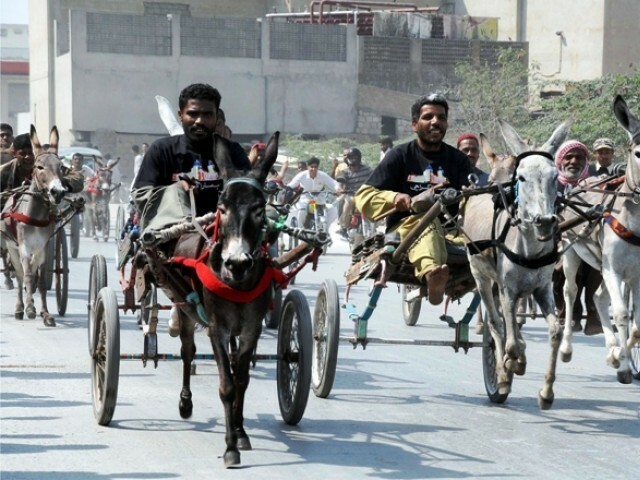 Donkey cart races are organised by the Karachi South Donkey-Cart Association (KSDCA) which has over 800 owners registered with them. The association mainly deals with the trading and business aspect of the community but organises the races to maintain the tradition that began in the colonial era. “These races are part of our tradition and I’m told that they have been happening since the 18th century,” said KSDCA chief Saleem Baloch. The minor races take place every alternate weekends in the afternoon with the grand events taking place in the evenings and covering a distance of seven kilometers. They vary in format – the grand race consists of 30-40 racers with the prize-money ranging from Rs 25,000 to Rs 40,000. However, the most popular and lucrative format is the duel involving two racers who commit to a sum in a winner-takes-all situation. It’s not all fun and games, however, a reminder that brings Jami’s third rule into play: ‘Don’t mess with the Police wallahs’. According to Baloch, the prize-money is always divided three ways: the winner, the organiser and the law-enforcers, who help clear the roads for the races. Making quick money is the main aim behind the effort but for that, the fourth and final rule, despite its simplicity, comes in handy. “Always choose your opponents carefully,” warns Jami.